Boasting an ideal location in Mesa-- Genoa Lakes is close to major freeways and surrounded by many parks including Los Alamos Park. Just 20 minutes from Tempe's Arizona State University, enjoy countless options for dining, shopping and entertainment at your doorstep. Springtime brings the start of baseball season, and you can go see the Chicago Cubs at Sloan Park.  For golf lovers, Genoa Lakes is less than ten miles away from Alta Mesa Golf Club and Red Mountain Ranch Country Club. With easy access to the Loop 202 and US 60 freeways, Phoenix, Scottsdale and Tempe are all within driving distance under 30 minutes. Don't hesitate any longer. Join our community today! Call our office to schedule a tour or go online to start an application.